Shopping for three very different children during the holidays can be a true test. I have a girly girl, a boy who never sits still and one who loves to game. There’s no standard gift that works for all three! That’s why I have to be sure to head out to stores that can accommodate my every need. I don’t have time to make a million stops this season. I just need to be in and out – with everything checked off my list. Staples filled that need for me this year. Not only was I able to refill some office supplies on my most recent trip, but I also snagged some amazing gifts for Caleb, Natalie and Liam. Take a look! Caleb is someone who literally cannot sit still. That boy loves to run (and jump and spin and split and knock over and…). You catch my drift. That’s why when I saw this Two-Player Electronic Laser Tag set, I knew it would be just perfect. With loud action sounds and easy to use button set up, my son is sure to have a BLAST with whoever is game. 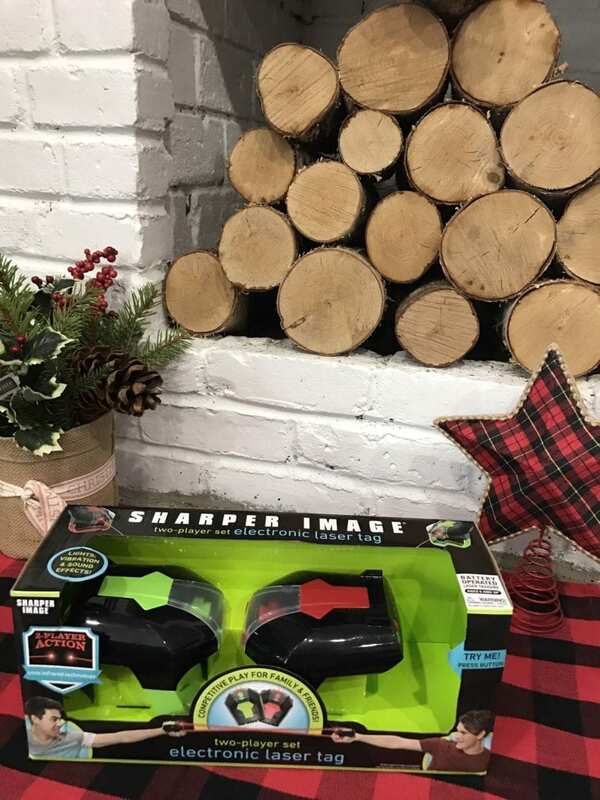 The Sharper Image two-player set electronic laser tag uses infrared technology, making it competitive and exciting with laser action featuring hit count lights, vibration and built-in sound effects. Grip-Style handheld design with convenient thumb trigger action for easy operation. Bring them anywhere for competitive play with family & friends! Genuine beams for exciting long-distance play. I just about hit the floor when I saw this ATARI console!! WHAT?! It has over 100 games stored including all of my favorite classics. I can’t WAIT TO SHOW LIAM WHAT GAMING USED TO BE LIKE WHEN I WAS YOUNGER. We talk about this all the time – now we can actually play! Yes, I am screaming at you! 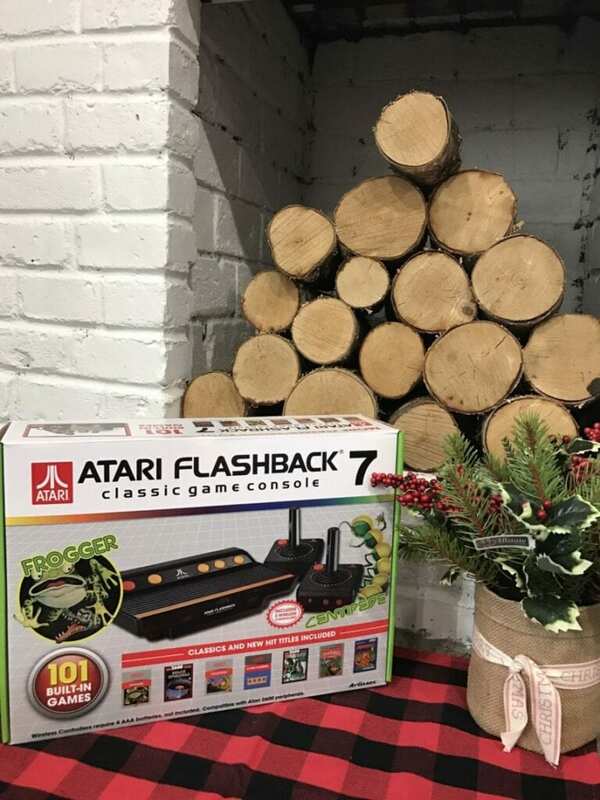 Atari Flashback 7 Classic Game Console with built-in 101 games, including Konami’s Frogger and Atari 2600 greatest hits. Wireless controllers in the pack. 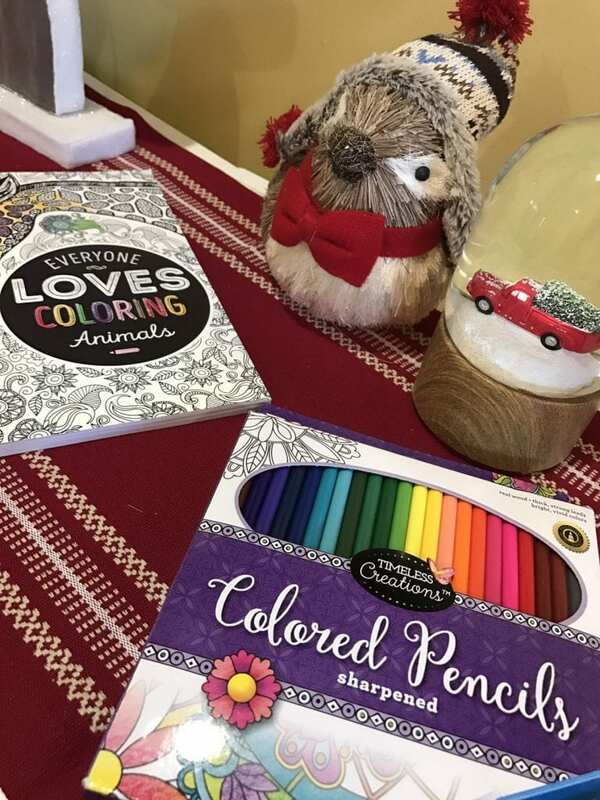 Last but not least, for my little artist Natalie, I found these adorable colored pencils ($14.99) and animals coloring book ($7.99). I cannot tell you how much time she spends on these detailed designs. They made such a splash on the market this year and I am so thankful for it! Whenever she is having a bad day, Natalie calms down with some quiet drawing. It really does bring everyone back down to zero. Works for adults too by the way!! What kind of child are you purchasing for this year? Did any of my picks line up with their personality? So many great options available at Staples for kids and beyond!! Did you see what I snagged last week? From holiday wrapping paper to the perfect hostess gift sets. Truly something for everyone! Oh cool! I think I need that Atari. These are great! I can only imagine having an at home laser tag kit!